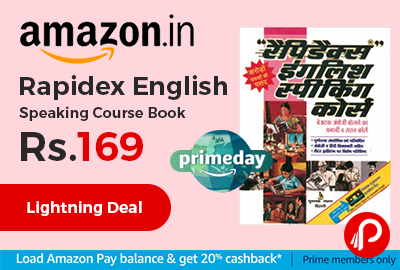 Amazon Lightning Deal is offering 21% off on Rapidex English Speaking Course Book at Rs.169 Only. R. K. Gupta’s Rapidex English Speaking Course is a manual book intended for non-native English speakers and is a guide that helps them comprehend and converse in English. It is geared towards individuals who aspire to speak English in a fluent manner and addresses a wide range of readers.